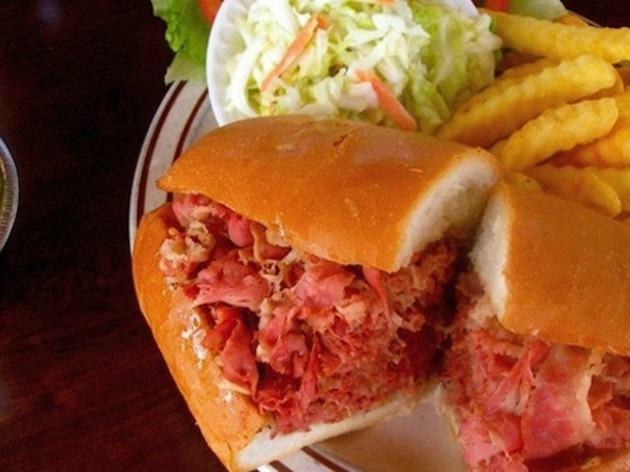 Right off the 405, this endearing old school deli serves up what are arguably the best deli sandwiches in LA. 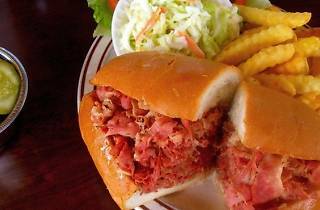 Johnnie's famed hot pastrami will set you back $10.95, but if you’re buzzed enough from swigging all those cans of oatmeal stout at the Corner Door, it just might seem worth it (no regrets so far). Plus, the place has its own parking lot, which conveniently makes up for its not-so-endearing cash-only policy.